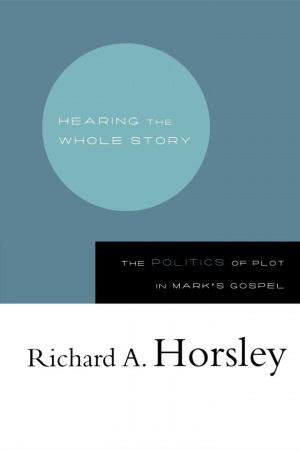 Horsley provides a sure guide for first time readers of Mark's Gospel and, at the same time, induces those more familiar with Mark to take a fresh look at this important Gospel text. From tracing the plot and sub-plot in Mark to inquiring how the Gospel was first heard (as oral performance), Horsley tackles old questions from new angles. He consistently and judiciously uses sociological categories and method to help readers see how Jesus challenged the dominant order of his day. Hearing the Whole Story by Richard Horsley (Professor of the Study of Religion Programme, University of Massachusetts, USA) was published by Westminster in May 2001 and is our 44524th best seller. The ISBN for Hearing the Whole Story is 9780664222758. Be the first to review Hearing the Whole Story! Got a question? No problem! Just click here to ask us about Hearing the Whole Story.